Kiko Milano presents a brightly coloured eyeshadow that has repeated mixing of pigments and oils resulting in a revolutionary formula, truly an explosion of colour and sensations.The soft, creamy powder is extremely buildable and has particularly smooth and uniform consistency ensuring high blendability. The eyeshadow is silky to the touch, its pure colour is revealed instantly and glides on evenly. 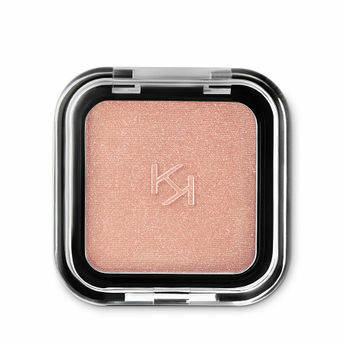 The eyeshadow comes in a modern, practical compact its unique, distinctive packaging features the KK monogram embossed on the see-through lid. The handy, fun size eyeshadow will tempt you to collect lots of different colours for creating intense, unique eye makeup for every occasion. To maximize the eyeshadow's staying power, first apply Kiko's Neutral Eye Base or Pearly Eye Base to the eyelids. Alternatively, you can also find many more products from the Kiko Milano Smart Colour Eyeshadow range.